We are hoping to improve the health of the soil by adding rock dust as soon as I can find some, and keeping the area mulched, but the water comes from the sky, and that is always variable. 8 almonds? Did the birds get them all? Never mind, I have a 4 year old quince tree. The harvest this year will be 5 quinces. But they are mine own! I can't blame the birds, no. 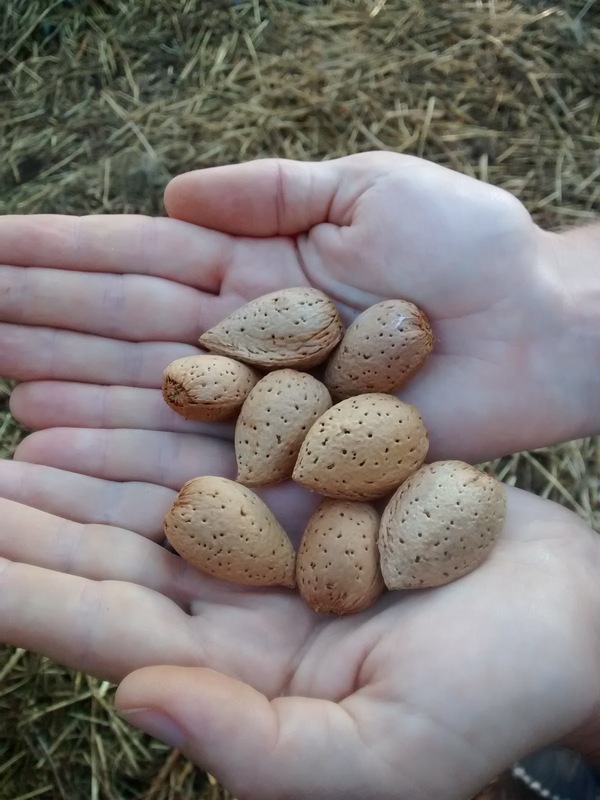 I saw the almonds develop and grow from flower, there were just a few. Plenty of flowers and bees though! I suspect I need another variety of almond for pollination, or maybe it's just the poor depleted soils. 5 quinces is great! The quinces here got bigger again this year, but still not right, the fruit got quite sunburnt. I suspect the old tree will be happier with support trees grown nearby.